This moth larva chose to pupate on the little table we use for repotting plants outside. 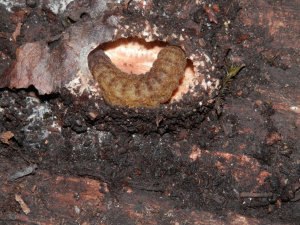 It's now changed into a pupa and although it looks familiar, I can't remember which species this is. Can anyone help?